A Hillsboro man was is facing felony charges after allegedly admitting to breaking into two businesses, according to the Hillsboro Police Department. The police department said it received a report at 8:20 a.m. Tuesday of a business in the 400 block of North West Street being broke into sometime overnight. During an investigation, it was found that a male subject was observed on camera entering the business and taking money from the cash register drawers. It was also observed on camera that the same male subject had entered a neighboring business just prior to entering the location from the original report, according to the police department. The male on the camera was identified as John Wayne Blair II, 40, of Hillsboro, the police department said. Blair was tracked to a location Tuesday evening where had been staying, the police department said, and was questioned about an incident at Master Feed Mill, then was released with the police department intending to question him further later. 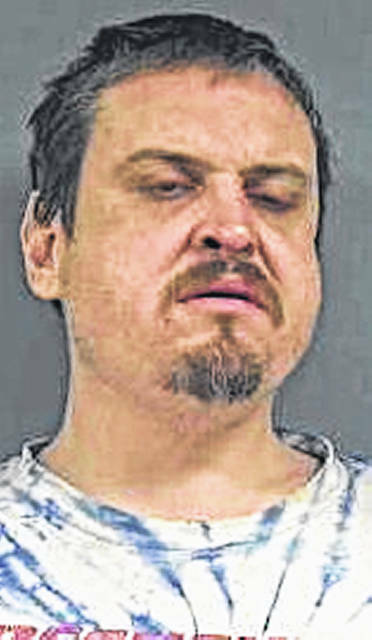 Blair was picked up again Wednesday after the police department received a report of Blair forcibly kicking in a door at the former Mac Printing location, although nothing was missing there, the police department said. After being questioned further, the police department said Blair admitted to both incidents. Blair was charged with two counts of fifth-degree felony breaking and entering and one count of third-degree felony tampering with evidence. He was transported to the Highland County Jail, where he remained early Thursday evening. Blair was arraigned Thursday in Hillsboro Municipal Court where his bond was set at $7,500, plus an own recognizance bond. He was also ordered to have no contact with either business, placed on reporting probation, and ordered to observe a 9 a.m. to 6 p.m. curfew unless he is working, according to online records. A preliminary hearing in the case was set for 9:30 a.m. April 2.